Tuna Burgers - Kosher In The Kitch! 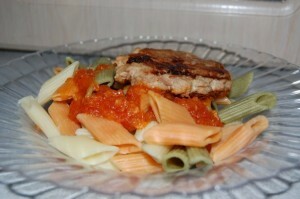 Tuna Burgers - Kosher In The Kitch! I add a bit of curry to give it a kick! Form the patties using the ingredients above. Then grill them on an electric grill or grill pan, or broil them in the oven. Once ready, serve on tri-color penne pasta with fresh tomato sauce.